The Yellowstone to Yukon Conservation Initiative has been pushing for a wildlife overpass just east of Lac Des Arcs for years. Advocates say it's a hotspot for wildlife collisions and both animals and humans will benefit from a crossing. Wildlife advocates say they won't ease up on their push to get an overpass built along a troublesome, 40-kilometre stretch of the Trans-Canada Highway west of Calgary. According to a study from 2012, about 60 animals — including deer, elk and bears — are struck by vehicles every year between the Banff National Park gates and the Kananaskis River. The provincial government is currently using a wildlife app to get more up-to-date information around where, and how many animals are being killed along the stretch of Highway 1. "As the population of Calgary gets bigger and visitation to the mountains gets busier, it's going to be more and more important to have some mitigation there," said Hilary Young, interim senior Alberta program manager with the Yellowstone to Yukon Conservation Initiative. For the past couple of years the group has been been urging the province to install a $7-million overpass, along with fencing, just east of Lac Des Arcs. The group believes, based on research data, it would be the best spot to reduce interactions and help animals move around. According to the province, as many as 17 animals are hit on average every year near the location. Young says it would be the first overpass outside a national park in Alberta. "We are very aware of the need for this to happen and it's a little frustrating that it's taking a long time, but we understand that with limited budgets, priorities end up being elsewhere," said Young. A spokesman for Alberta Transportation says the province has set aside $285,000 for this project. In July, the province hired a consultant to determine the most suitable location and come up with some potential designs for a crossing. Wayne Wood says the consultant has begun working on the initial planning report, which is expected to be completed by the end of 2018 or early 2019, after which time, detailed design work will follow. "It's something that we've been talking about for a number of years. It does, however, have to go through the budget process and has to go through the priority listings of the budget process. So we won't know until budget 2019 if we are moving forward with the project, or if it's going to put off for another year or two," said Wood. 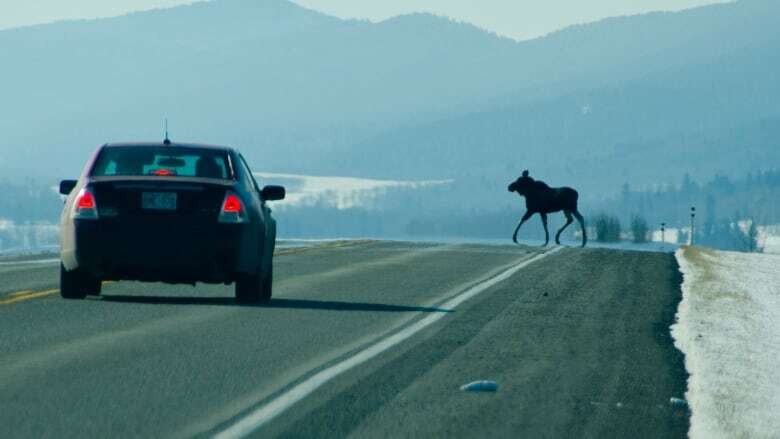 Brett Boukall, senior wildlife biologist with Alberta Environment and Parks, says crossings have been proven to be highly effective, reducing collisions by about 80 per cent where fencing and underpasses have been installed in the Bow Valley. "Working against time is an inevitability, the longer we delay, the greater the chance of more wildlife collisions," he said. "I'm not as concerned exactly where it goes, I'm more concerned that we have a plan to put infrastructure in place to get us there, not only here, but in the long run, throughout the Bow Valley." He says building an overpass would also benefit the province's Grizzly bear recovery plan.